﻿ Best Price on Condohotel Hacienda Pacífica in Quepos + Reviews! 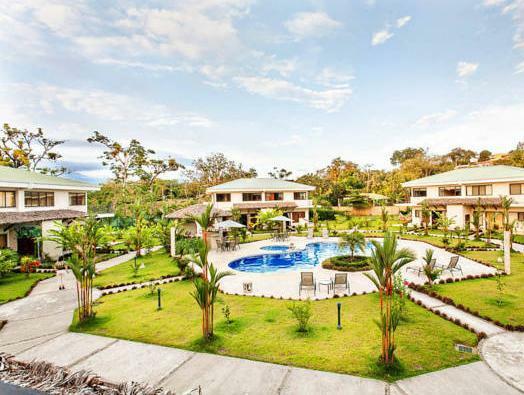 Condohotel Hacienda Pacífica is located in the northeast corner of Quepos and 4 minutes’ drive from Marina Quepos and 1.5 km from Quepos Central Park. It features an extensive garden and an outdoor swimming pool. 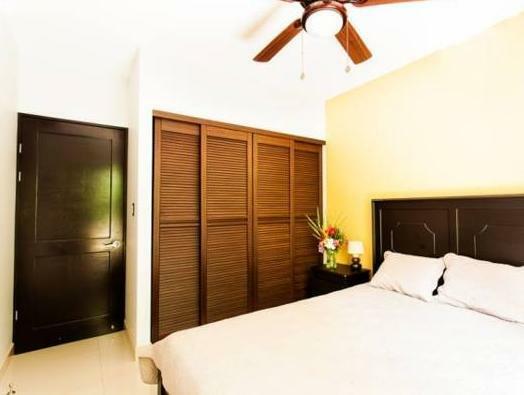 The modern villas and apartments offer fully equipped kitchens, up to 2 bedrooms and 2 bathrooms, a living area with television, cable and free WIFI service, ceiling fans and air conditioning, making each unit completely self-contained for up to 5 people. Guests can request for BBQ facilities and they can also find restaurants offering international food within 2.5 km. Activities such as kayaking, rafting and hiking tours can be arranged at the hotel's tour desk. A catamaran tour, horseback riding and ATVs can also be provided. This property is 10 minutes’ drive from Manuel Antonio National Park, 30 minutes' drive from Matapalo Beach and 45 minutes' drive from Dominical Beach. Juan Santamaría International Airport is a 2 hours’ drive away.